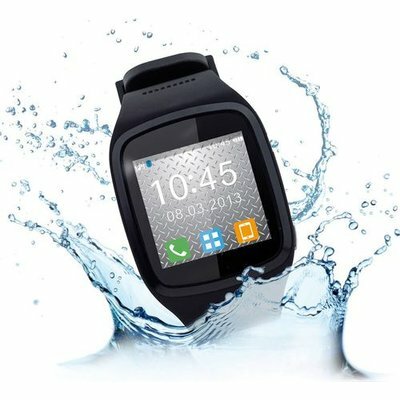 ZeSplash is a water resistant smartwatch that keeps you connected to your phone via Bluetooth. 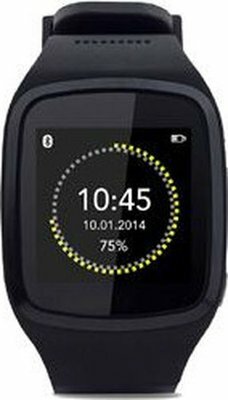 With its capacitive color touchscreen, integrated microphone and speaker, ZeSplash acts as a wireless dialer, allowing users to handle calls directly from their wrist. Compatible with Bluetooth 3.0 and later enabled smartphones, ZeSplash also syncs with Android and iOS smartphones. ZeSplash lets you listen to music from your mobile device through the built-in speaker. Remotely voice command your phone using voice control through ZeSplash and take voice memos with the recording feature. When your phone is out of range, ZeSplash will alert you with a gentle vibration, protecting against theft or loss. ZeSplash features a built-in pedometer that tracks your daily steps and calories burned. Set up your activity goals on ZeSplash to stay fit and active!